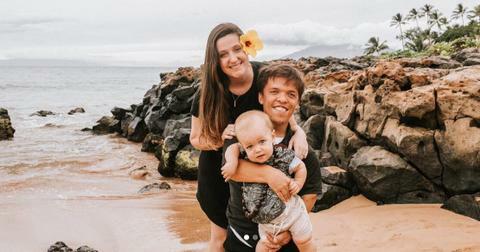 Fans of Little People, Big World are concerned about Zach Roloff. In a promo for the show’s new season, which premieres on April 2, the reality star opens up about a few health issues he’s experiencing — as well as some serious money problems. "We have two mortgages," the 28-year-old, who has dwarfism like his parents, tells the camera. "I’m way in over my head." Zach’s wife Tori adds that the couple’s cash flow is "nil." Their admission left viewers wondering if the duo works in addition to appearing on LPBW, or if they rely solely on the TLC series for income. As it turns out, they both have other jobs that keep them busy when they’re not filming. Here’s what we know about Zach and Tori’s budding careers. The father-of-one is actually a big help to his parents on their Oregon farm, but he also coaches youth soccer. "My most rewarding experience has been seeing all the kids that come back every year at tryouts," he told retailer Lock Laces in a 2017 interview. "I love seeing the kids come back that I had the previous year, and it feels great that they want to come back and be a part of the same team and have me as a coach again." When he’s not mentoring kids on the field, Zach plays competitive soccer. He recently competed with Team USA in the first ever Copa America Dwarf World Cup and helped America defeat Great Britain in the 2013 World Dwarf Games soccer finals. Over the last few years, Zach has also hosted soccer fundraisers to build awareness for dwarf athletics. "The game has shaped who I am in tons of ways," he shared. "Everything comes back to soccer. 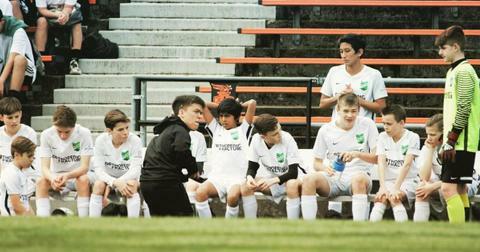 It taught me a lot about teamwork and sacrifice… A lot of my life philosophies can be traced back to soccer." As for Tori, the 27-year-old previously worked as a kindergarten teacher before giving birth to the couple’s son, Jackson, in 2017. Now, she runs her own photography business, which fans can follow on Instagram. It looks like the reality star specializes in family portraits. The pair is also devoted parents to their only child, who has dwarfism like his dad. "You have to encourage a dwarf child a little more because it will take them five steps to do what others can do in two," Zach said after Jackson’s birth. "But I knew, dwarf or not, I was going to parent my child with the mentality that not everyone gets a trophy. You have to earn it." What is Zach Roloff’s net worth? According to celebritynetworth.com, Zach’s net worth is $300,000. As for his LPBW salary, Business Insider estimated that "B" players on cable reality shows generally make between $15,000 and $35,000 per season. The longtime TV personality previously stated that he’s just happy to be making an impact. "We have a lot of fans that have gone through serious challenges, too. I think watching our show gives them inspiration by reassuring them that others have to tackle these challenges throughout life," he told Lock Laces. "They see us on TV and they realize that their families are going through the same or similar struggles that we are. And not just situations related to dwarfism." 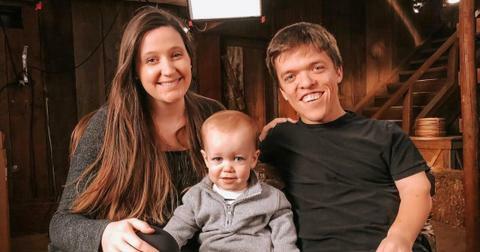 Watch Zach and Tori on Season 14 of Little People, Big World, which premieres April 2 on TLC.